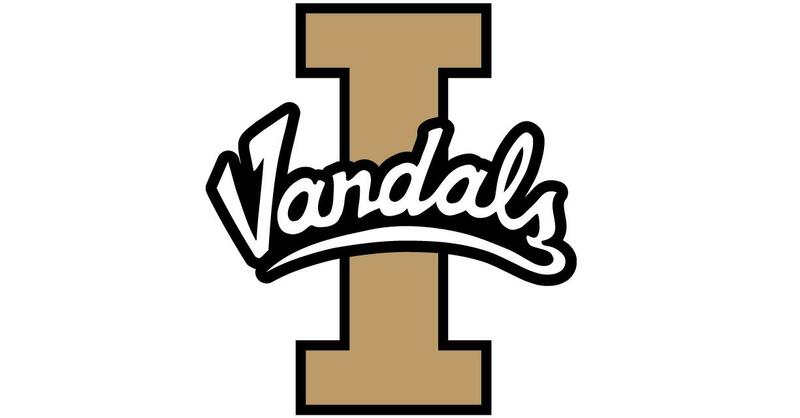 UPDATED: Tue., March 6, 2018, 8:46 p.m.
MOSCOW, Idaho – The Vandals women will take another helping of their first meeting with Montana State, please. On Feb. 15, Idaho torched the defending Big Sky Conference champions with 17 3-pointers on the way to a 95-77 victory in Bozeman. That was fun, but the teams face a rematch tonight in the second round of the Big Sky Tournament with everything at stake. A first-round bye as the second seed means Idaho (17-12) will play its opening game in the tournament against the Bobcats. Montana State (16-14) warmed up for the Vandals by dispatching North Dakota 68-58 Monday in the first round. The conference may want to have a supercomputer at the ready to keep up with the scoring if the defense doesn’t show up when these two battle again. The Vandals and Bobcats believe basketball is better beyond the arc. Senior Hannah Caudill, a third-team, all-conference selection, has buried 79 3-pointers this season to lead the Bobcats. Rebekah Hatchard paced MSU against North Dakota with 18 points and Delany Junkermier (Mead High) added 15. None of this is likely to scare the Vandals. Taylor Pierce, a Big Sky honorable mention, holds the conference record with 295 career 3-pointers, including 114 this season. She is averaging 14.7 points, 3.4 rebounds and three assists a game. Her resume includes 28 points against Northern Arizona, with eight 3s. “She’s playing at an extremely high level,” Newlee said of Pierce. Yet Pierce is not the first option much of the time. Junior Mikayla Ferenz repeated as a Big Sky all-conference pick this season. She leads the Vandals in scoring, averaging 22.7 points, and also averages 4.3 assists and 6.4 rebounds. Senior Geraldine McCorkell, an all-Big Sky second-teamer, gives Idaho 16.7 points a game, 7.9 rebounds and 2.8 assists. “She really stepped up her game in the second half of the season,” Newlee said of McCorkell. The Vandals struggled early this season, suffering nine of their 12 losses by the first week in January. They have been on a tear since, winning nine in a row before Idaho State and Weber State beat them back-to-back at home. The Vandals put that behind them with victories over Northern Arizona and Southern Utah to close the regular season. The improved play of freshman point guard Allison Kirby is a big reason Idaho improved after Christmas. “She figured out what I want out of her,” Newlee said. “She is doing a great job, especially as a freshman. An 81-76 assist-to-turnover ratio is freshman-like, but Kirby hasn’t had more than three turnovers in a game since giving up five against Eastern Washington in early February. Idaho is equipped to compete with Montana State in an up-and-down game in which the floor is spread, offering 3-point shots and wide driving lanes. The Vandals may also give the Bobcats problems inside with 6-foot-5 senior Nejra Solo and 6-4 sophomore Isabelle Hadden. Solo has averaged 7.8 rebounds in her last five games and looms as a shot-altering presence near the hoop. “We’re getting good, solid interior defense, and the rebounding is really solid,” Newlee said. Because both teams can fill it up from long range, this old-school aspect of basketball may prove to be the key to an Idaho victory. Published: March 6, 2018, 4 p.m. Updated: March 6, 2018, 8:46 p.m.